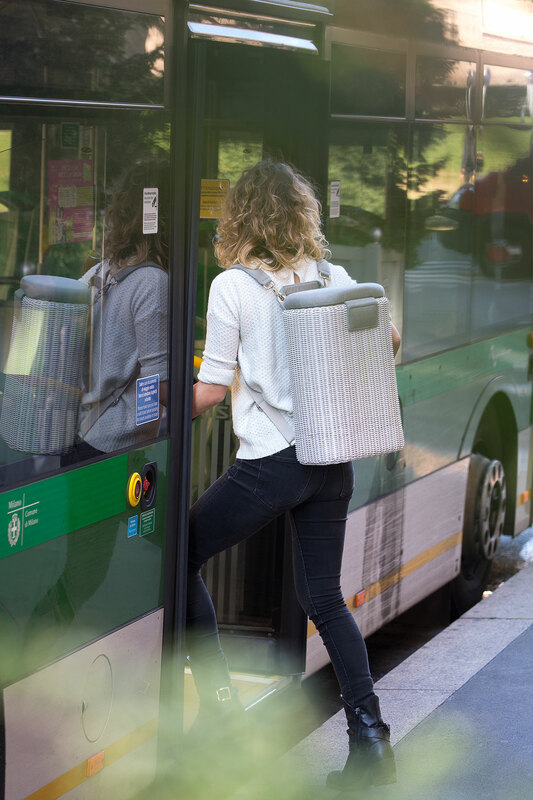 Le Gerle is a mobile chair designed for public space experiences, a chair which turns into a rucksack and can hold everything you need for your day out. 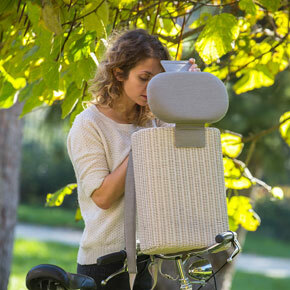 A new chair concept which thinks outside the box – its rucksack function makes it unique. 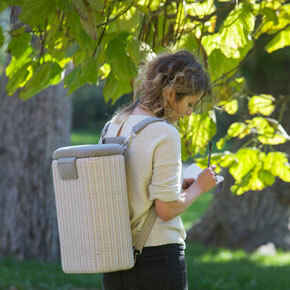 It is inspired by the ancient rural world, by the woven wicker or wood baskets equipped with straps, bindings and shoulder straps to be carried on the back which served to transport material of every type, food and water. Le Gerle does not leave its history behind but is a pragmatic and stylish adaptation to the demands of fast paced city life. 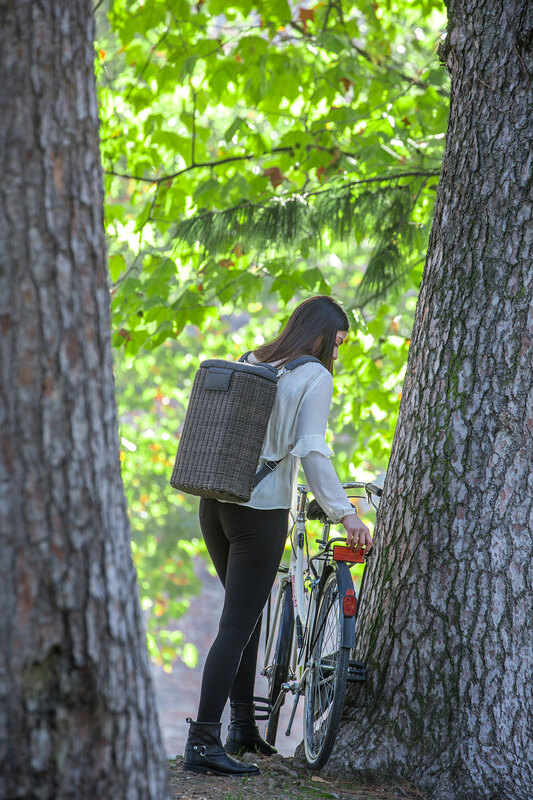 Made in Etwick fibre and fabric in white or cork versions, it is a sober, sophisticated design chair-rucksack whose attention to fine detail stands out at first glance. 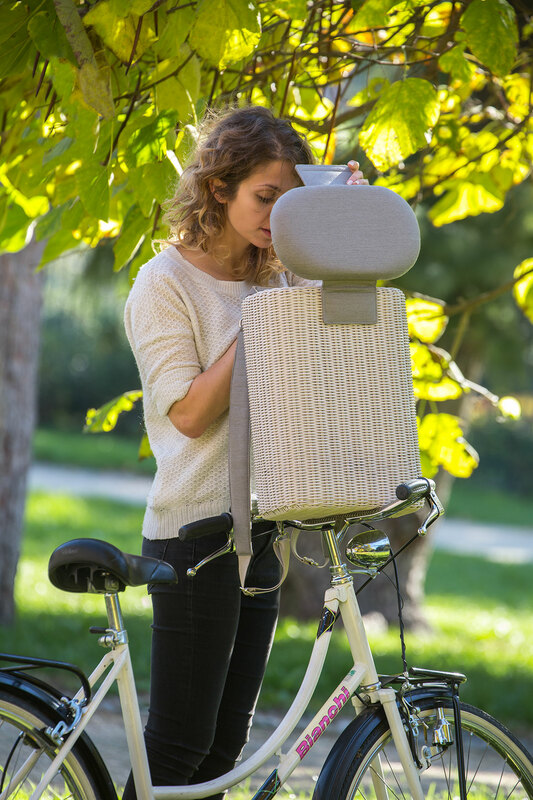 Le Gerle is a travel experience for the daily discoveries each one of us makes, giving us the right observation point for every situation with its mobile chair function in a uniquely convenient rucksack format holding everything you need for the day. The “L'Italia si alza” (Italy Gets Up) project is Fondazione Riccardo Catella and Associazione Cometa's creative and ambitious planning project idea developed with the participation of the young students of Scuola Oliver Twist in Como and designed to give them experience of the worlds of work and design. 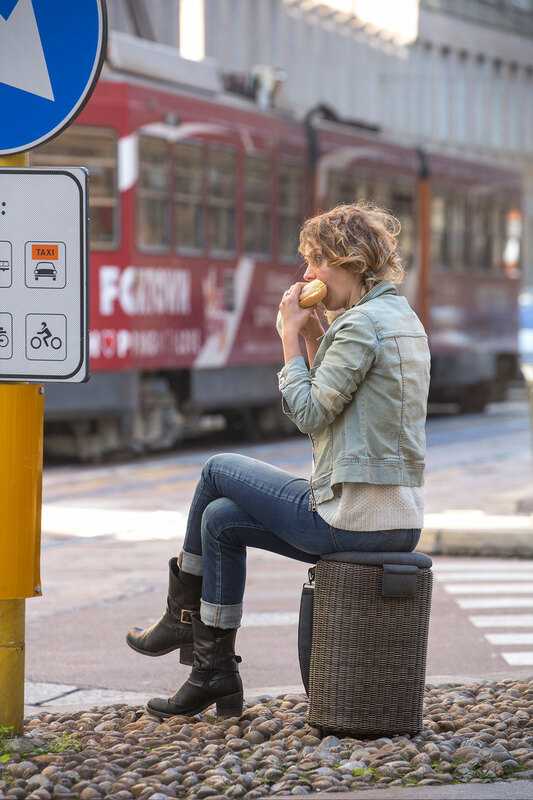 The “L'Italia si Alza” competition is part of the programme sponsored by Fondazione Riccardo Catella's “Progetti della Gente” (people's projects), an initiative designed to promote the use of public spaces as part of the 2015 programme dedicated to the Porta Nuova Smart Community. This partnership between these two non-profit bodies grew from their shared commitment to highlighting the positive values of manual skills in the sense of know-how and identifying the concept of community as social player and bearer of values designed to develop and enhance the urban fabric. The idea of identifying the outdoor seat as a metaphor for sociability, communication and interaction fits into this paradigm: an idea capable of breathing life into the concept of renewal which is at the heart of the Porta Nuova Smart Community. 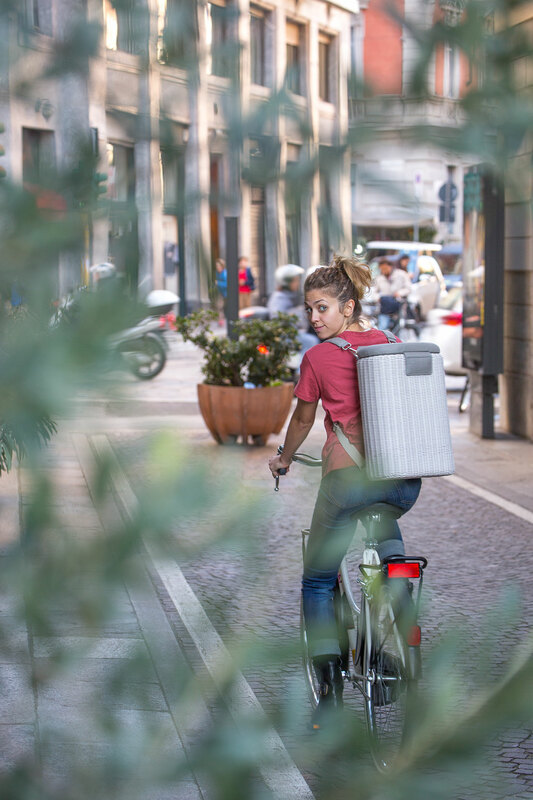 Le Gerle is the project which won the “L'Italia si Alza” contest and 70 students took part in it via carpentry and textile courses at Associazione Cometa's Scuola Oliver Twist. Together with teachers, designer Mario Ferrarini worked alongside the winning group in all the project's phases. 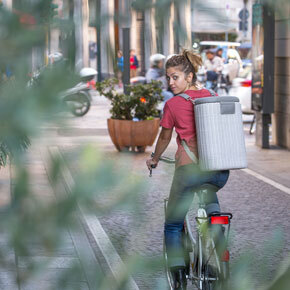 Ethimo – a young, dynamic company at the cutting edge of new outdoor fashions – is the project's partner company and will make and sell Le Gerle. The royalties from the sale of these chairs will be used to fund the activities of Associazione Cometa and Fondazione Riccardo Catella. 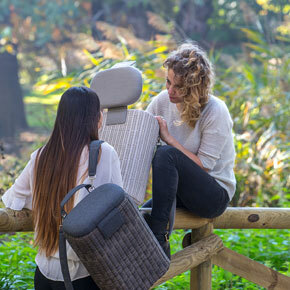 Seat upholstered in fabric "Ethimo Fabric Collection" for outdoor use with adjustable shoulder straps and removable inner lining in acrylic fabric. Bark "Etwick" fiber and "Ethimo Fabric Collection" Black Stone tissue. White "Etwick" fiber and "Ethimo Fabric Collection" Nature Grey tissue. Ahistoric district. An island. A depressed inner city area in the heart of Milan. This was the Porta Nuova quarter prior to its rebirth. 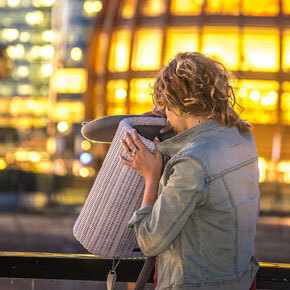 From 2005 onwards, it has been transformed by a far-sighted project which marks a dividing line between past and present and has given the city a new face. 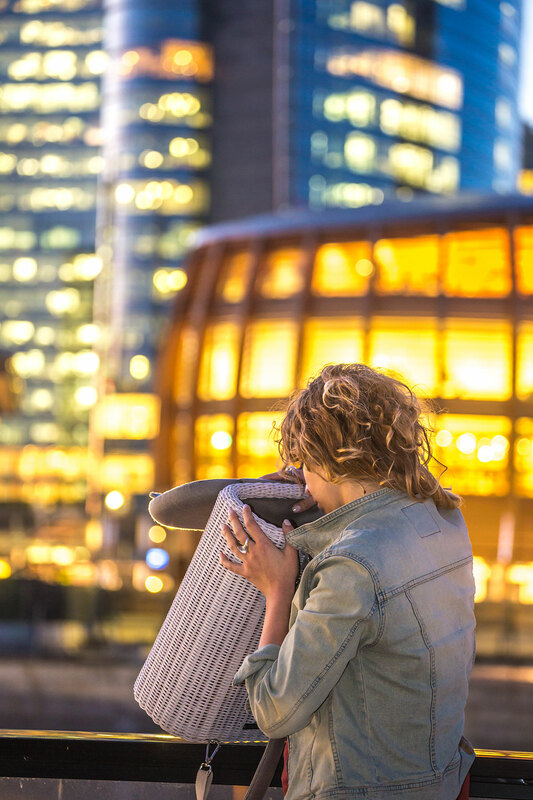 Today Porta Nuova is a place in which green areas and nature meet and interact with the urban environment. The skyscrapers blend into the park, an image which seems a contradiction but is actually real life in a unique scenario created for living people and places. 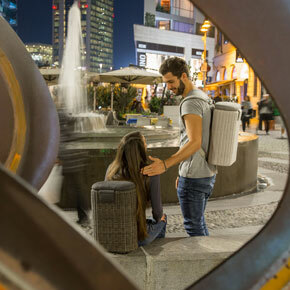 The Porta Nuova quarter is emblematic of avant-garde city, with open spaces coming to life with chatter and silences, full of people living the district to the full in city strolls and relaxation in the midst of the colours of nature and the city. This very city space inspired the boys and girls of Scuola Oliver Twist together with designer Mario Ferrarini in their Le Gerle project. 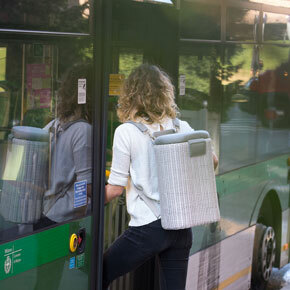 A mobile chair turned rucksack and a rucksack turned mobile chair, a double bond which co-exists naturally and evolves in the very same way as Porta Nuova's new salient points. 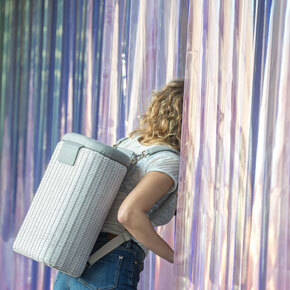 Le Gerle projects out into the present from its agricultural roots in a contemporary vision of outdoor chairs. 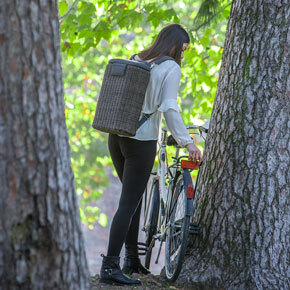 Dynamic, multifunctional and practical rather than static, Le Gerle can hold everything you need for a day out. 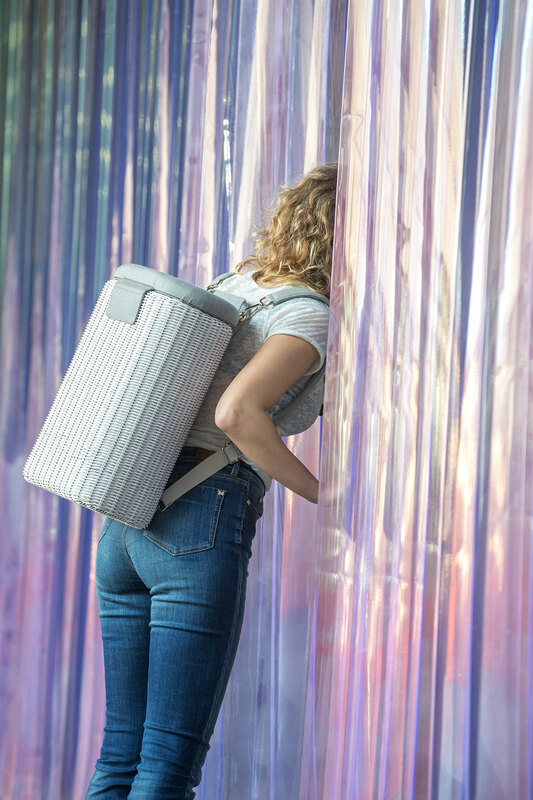 Innovation and tradition in perfect symbiosis, a one-of-a-kind design object. To buy from outside UE, please ask for a quotation.